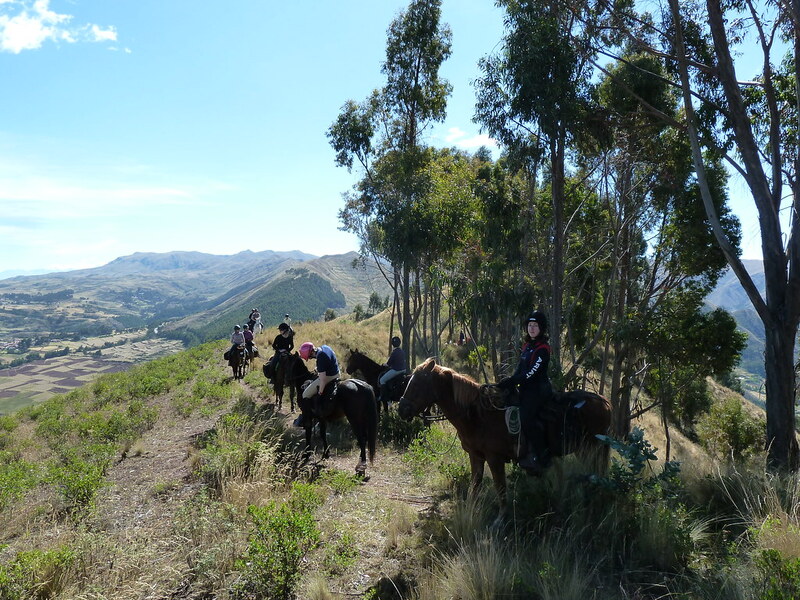 Five riders returned in June 2018 from their adventures in deepest darkest Peru! 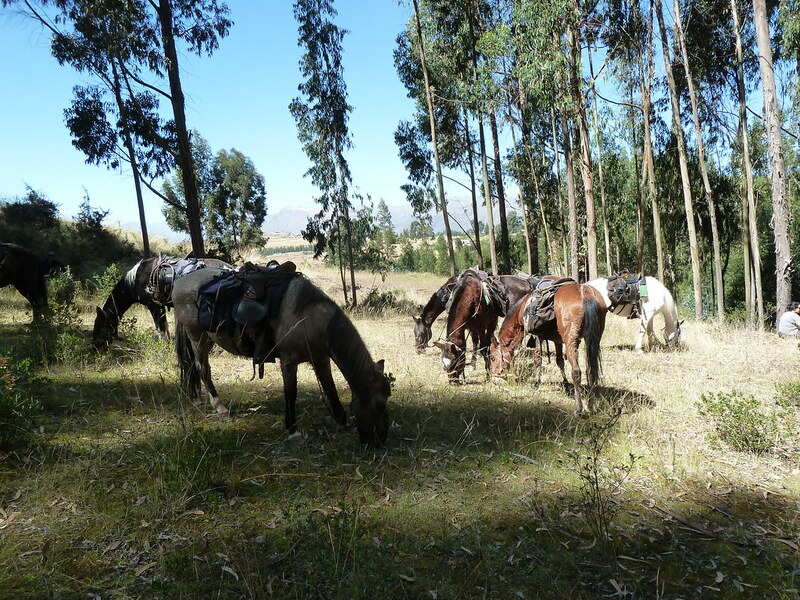 Riding through the Andes for seven days, reaching heights of 4,700m and camping at high altitude in the freezing cold made for a most memorable experience. The horses were amazing and so sure-footed as they scrambled up rocks and through the snow and trod so carefully through the bogs and across rickety rope bridges. Congratulations to Ann Gunn, Ruth Harris, Nicola Powles and Mark Taylor for completing this adventurous Challenge ride and for being such a super team. Many thanks for all donations and their sponsors too; for their generosity and support of BHS Welfare in collectively raising £5,000 for equine welfare. A once-in-a-lifetime opportunity to explore the Andes, this challenge provides a new adventure around almost every corner. With very few foreign visitors, the local people have changed almost nothing of their lifestyle for centuries. This challenge is not just an important fundraising mission but a way for our participants to experience a slice of Peruvian culture. 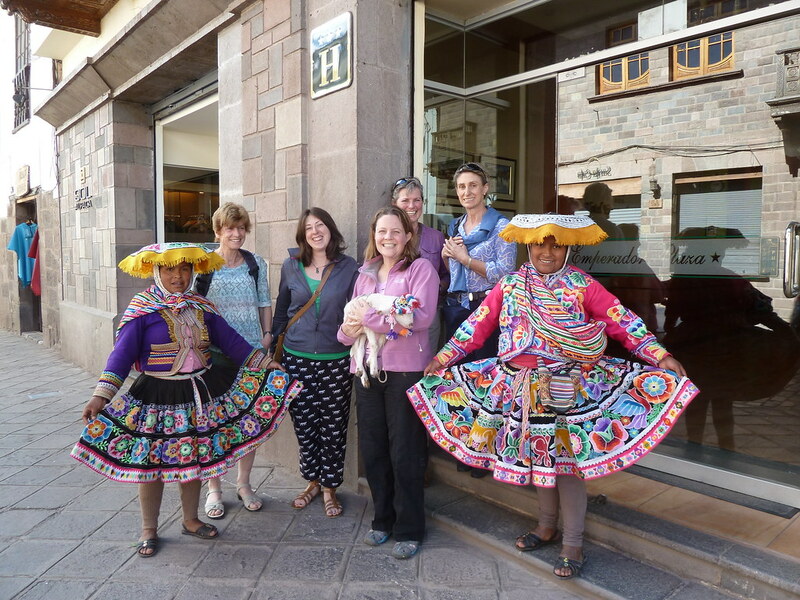 What is the Inca Challenge? 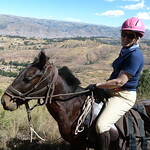 The trails through the Andes are narrow and so challengers need a good head for heights to enjoy this ride. 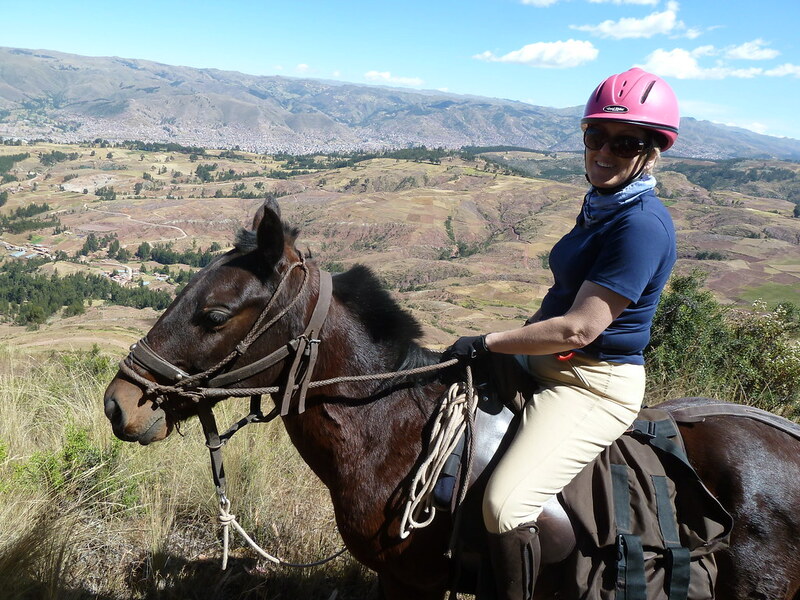 The terrain is often steep and takes you through the mountains to the north of the Sacred Valley of the Incas. At the end of the trek you will have the chance to take a tour of Machu Picchu and explore the ancient ruins of the Inca civilisation. This challenge is not for the faint hearted but it is fantastically rewarding and well worth completing. Which horses will I ride? One thing you don’t have to worry about is the capability of your mount. The strong mountain ponies are well trained and very sure-footed. 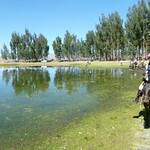 When they are not trekking through the mountains they enjoy life on the lowland pastures of the Andes. What will I do on the Challenge? This brief itinerary should give you a rough guide of what to expect but for various reasons some parts may be subject to last minute changes. On day one, Local staff will meet you at the airport and transfer the group to your hotel in Lima – the city can trace its foundation back to the earliest days of the Spanish conquest. We spend the night in this historic city.. 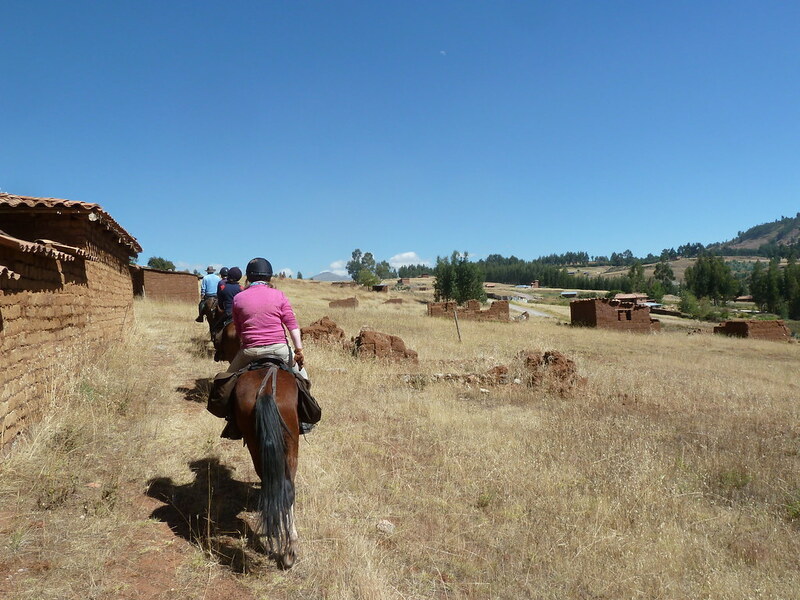 The second morning means a flight to Cusco, where you have the day to relax, explore and acclimatise to the altitude (3,300 metres / 10,000 feet). On day three you meet your pony and the expedition support crew. Your guide will give you a short lesson and instructions on how to ride. Day four sees you begin your six day trail ride through the mountains. 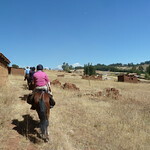 Following the ‘Trail of the Incas’ you will ride through remote Andean villages that are only accessible on horseback. You will stay overnight in the Barro Lodge. Leaving excess kit behind, you will continue your journey following the mule train. 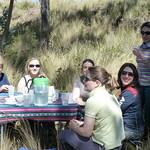 After a day’s riding you reach Marcabamba Lodge, where you stay overnight. 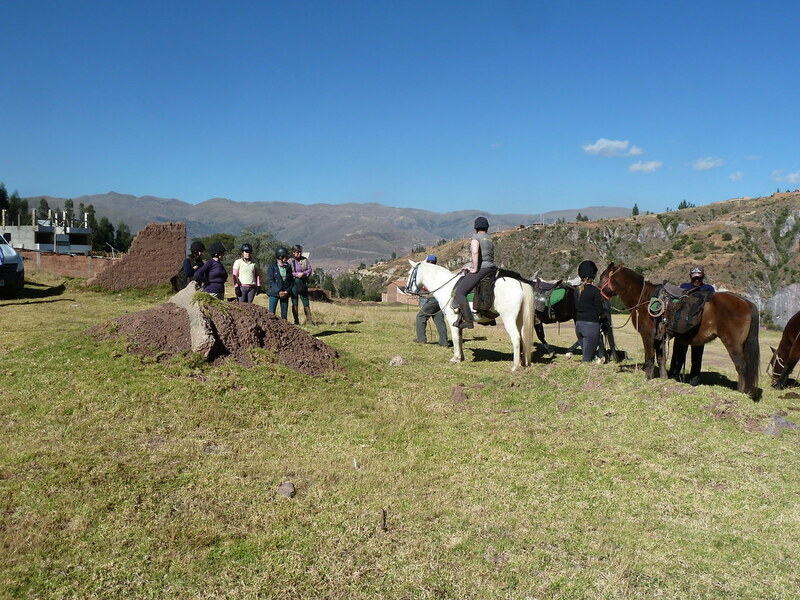 On day six you have a well earned rest day to visit Pisaq and the Maras Circles. You will then spend another night in Marcabamba Lodge. After a hot drink brought to your tent and a delicious breakfast to start the new day, you will ride to Waahuasi Pass, Qocha Pata. Here you will camp overnight in specially designed trekking tents. 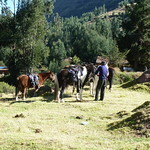 On day eight you will ride west to the Lares Valley. 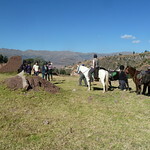 You will see local families working the land surrounded by native animals such a llamas, alpacas and even guinea pigs! 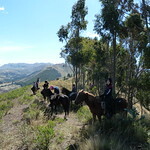 This trail lasts for three hours and ends in the town of Lares. The open air thermal springs provide an opportunity for a relaxing soak so make sure you bring a swimsuit. 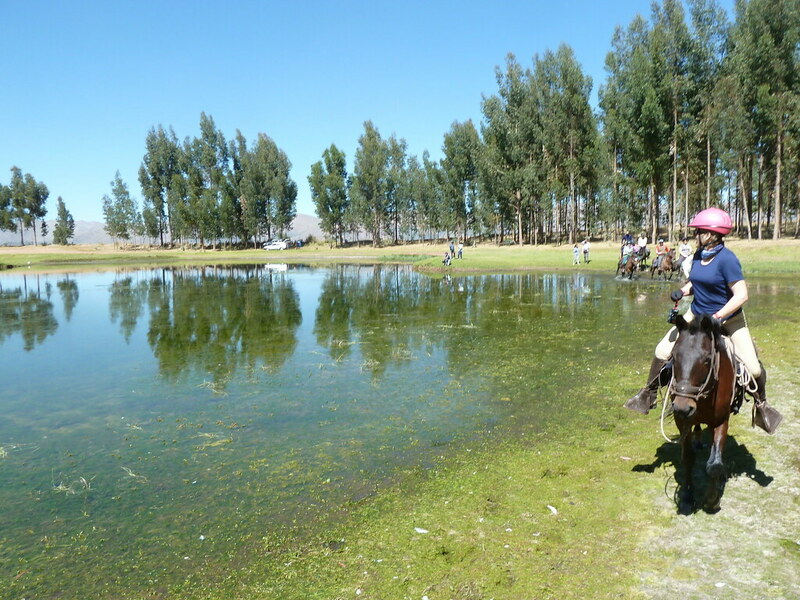 The following day you ride to Rosa Pata, Qochayoq and camp overnight. On the last riding day you descend 1,700m and end the trail at the awesome Inca fortress at Ollantaytambo. 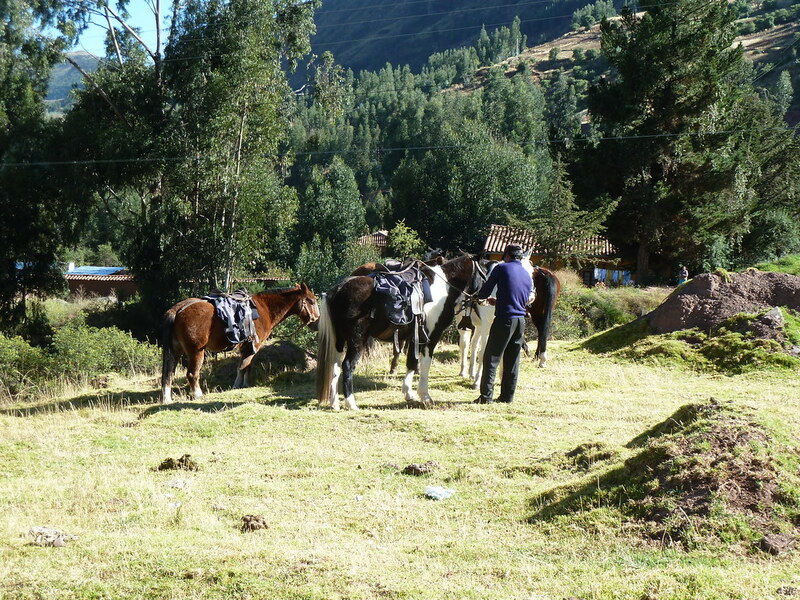 You will say goodbye to your steeds and the expedition crew as they begin their journey back to the ranch. You have a chance to explore and stay overnight at Orquideas Lodge. The following morning, there is an opportunity to enjoy the spectacular scenery as you take the narrow gauge train down the valley to Machu Picchu. Your dinner and overnight stay is provided by the famous ‘Gringo Bill’s’ hostel. 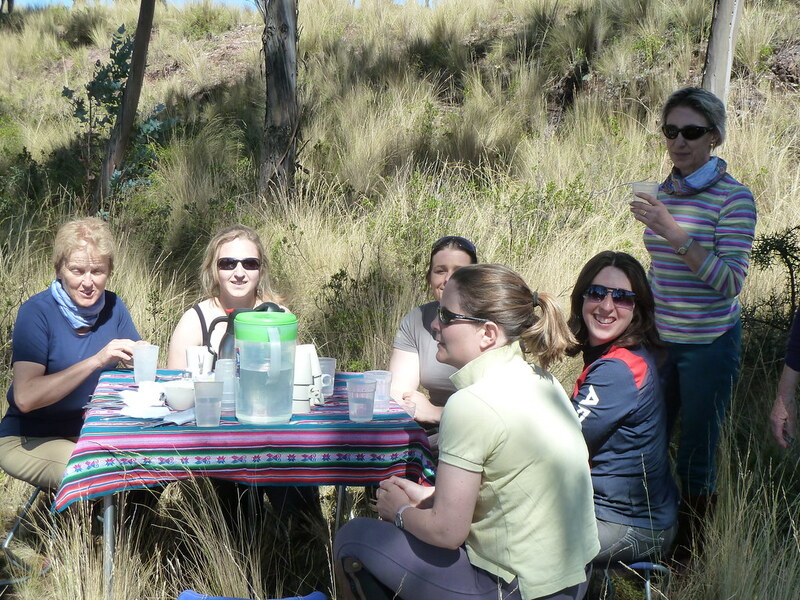 The more adventurous might sample the Pisco Sours and dance at ‘the place on the hill’. The next day, you get to experience the magic of Machu Picchu and your guide will complete the tour, telling the story of the rise and fall of the ancient civilisation and the unresolved mystery that is the ‘Lost City’. After a ride in the first class tourist train you will spend the night in ‘Las Orquideas’. The flight back to Lima gives you the chance to experience your journey again, this time from a bird’s eye view! 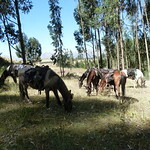 Upon arrival you take a trip to the beach and have the opportunity to ride the elegant Paso ponies that originate from Lima. 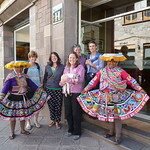 After lunch there is a tour of the main sites of Lima before checking in for the flight home. On day fifteen you arrive back home in London Heathrow. All our challenge rides require a registration fee. This £300 fee is needed to secure your place on the trip and is non-refundable, if for any reason you are unable to participate. Challengers are encouraged to fundraise to pay for the £700 donation element of the total funds required. The total ground cost is £3,275 and this excludes the flight cost, donation to BHS Welfare and the registration fee. We need to receive these funds eight weeks before you depart. “We toured the splendour of Machu Picchu which exceeded everyone's expectations as the magnificent mountain stands shrouded in mist.” Read more about this Challenger’s experience. 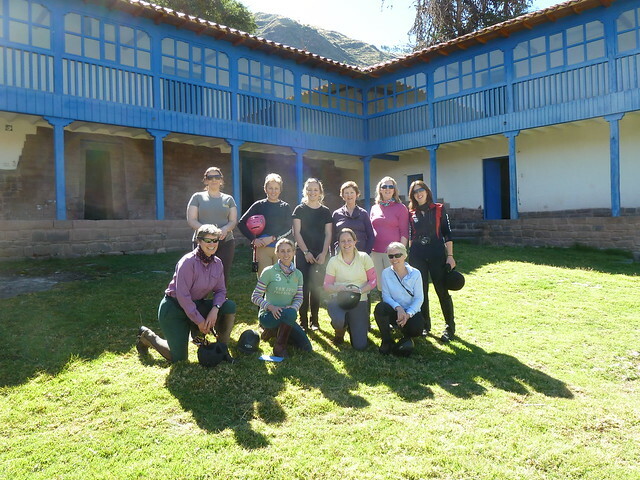 Now you’ve read about the Inca challenge we’re sure you’ll want to know how to raise the money to get there. See our list of fundraising tips to help you on your way. The next Challenge Ride in Peru will be in 27 May – 9 June 2018. Please email wendy.minor@bhs.org.uk to register your interest in taking part.